You’re out of work. Could be any number of reasons why, but it doesn’t really matter; unemployment can be a tough situation regardless of how you got there. If it was a layoff or you got fired it may be even more devastating to your peace of mind and overall emotional state. Quitting a gig brings with it a whole other range of challenges and issues, unless of course you’ve got something else already lined up. But if you’re reading this, chances are you don’t. Nothing to worry about, you certainly made the decision after some careful thought and consideration…right? So now that you’re home at 10am on a Monday morning instead of in your office, it’s time to start figuring out your next move. 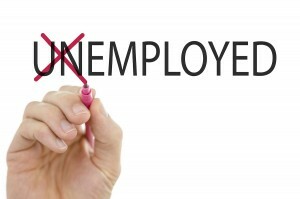 The goal here is to minimize the length of your unemployment as quickly as possible. The faster you get started on the search, the faster you’ll be back in the workplace and hopefully at a job that’s better suited to your skill set than your previous position. I know it’s a lot to think about, but don’t sweat it; start with these five things you should focus on first when you find yourself jobless. This is a conditional, but necessary, step for anyone who finds themselves unemployed. 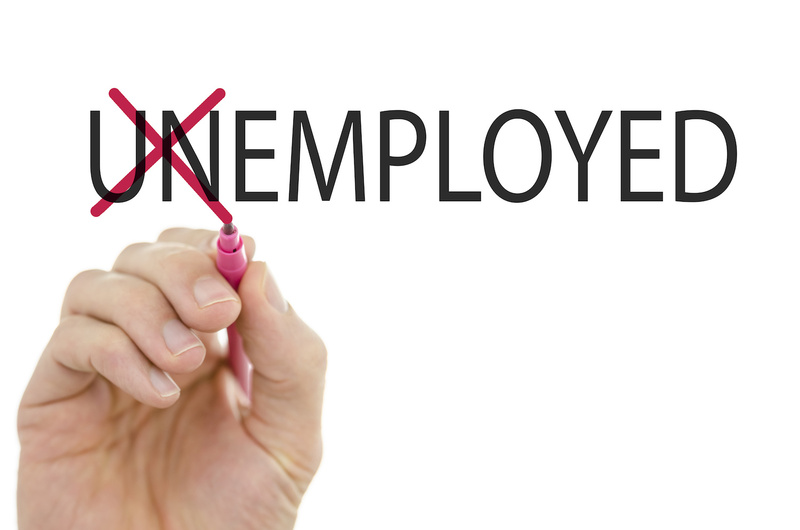 You may apply for benefits if you’ve lost your job through a lay-off or other reason that was out of your control. The eligibility stipulations to receive unemployment funds vary from state to state but they are usually determined based upon the amount of hours you worked with your previous employer and the reason for the loss of your job. Here is where the conditional part comes in. If you were fired for cause or decided to quit of your own volition, most states can (and likely) will deny your claim. But check with your local employment development office to find out if you qualify. If you do, file as soon as possible. The maximum benefit you might receive also varies from state to state and, while it won’t be anywhere near what you were making on a weekly salary, it will certainly help with getting bills paid and food on your table. Now that your employer is no longer taking care of your health coverage, it’s on you to make sure you have some kind of insurance. Applying for COBRA is an option, but it’s usually an incredibly expensive option, so look into affordable alternatives. You want to make sure you’re covered should something happen and it’s also a legal requirement to have some kind of coverage in all fifty states. This is one of the many things you really need to focus on as soon as you leave your old job and one of the easiest to let slip through the cracks. The problem is you never know when you’re going to need it and if you don’t have it, the chances of spending large sums out of pocket are high. So be sure to get this handled. Your search begins here. Go find that old resume and give it a nice polish. It might be years since you last looked at it. Now is the time to start fixing it up, add any new skills you’ve attained since the last time you sent it out, include the last employer (or employers) you worked for, and all of the descriptions of your positions at those organizations. Spruce up the older text as well. Giving it a recent proofread might help you slim down unnecessary information and clean up any text that might have sounded good then but doesn’t really apply now. This is going to be your most important tool to finding another job so make sure it is the very best representation of you and your abilities. Once you have it polished up and you think it’s ready for submission, give it to a few other people to read before you send it off. Get some notes and comments to see if there are any last minute tweaks and changes that can make it even better. You’ve got a lot to do and it should take up the majority of your days. Consider your job search your new full-time job until you are offered a new position. Devote the same time and commitment to this as you would any position of employment. It begins with you checking out the job posting sites like CareerBuilder, Monster, ZipRecruiter, and many others you can find online. Seek out job boards and sites that are dedicated to the specific industry where you’re looking to get hired. There are plenty of them for everything from tech careers to hospitality. While you’re doing that (and make sure you do so more than a few times each day), send out a mass email to all of your friends and colleagues to let them know you’re a free agent. You just might get a few leads from folks who have a line on the right direction to take your search. A little networking goes a long way, so reach out to former co-workers and other associates to see if they have any ideas, too. Take to social media as well. Post to your Facebook, Twitter, LinkedIn, and any other accounts you currently own to let people know you’re looking for a new position. I know this can be a challenging time, but as long as you stay diligent on finding new work, this tough period will come to an end. While you’re searching for your next landing spot, keep your mind focused on other things. Find ways to save some money, stretch your tax refund when it comes, and pick up some part time work while you seek full time employment. Be sure to take some time to reflect as well. Take stock of yourself and why you ended up in this tight spot in the first place. Bolster your strengths and identify your weaknesses, so they don’t become an impediment in your new position. Above all, relax. Stay focused and don’t let the stresses that come with being unemployed weigh you down emotionally. You will get through this.